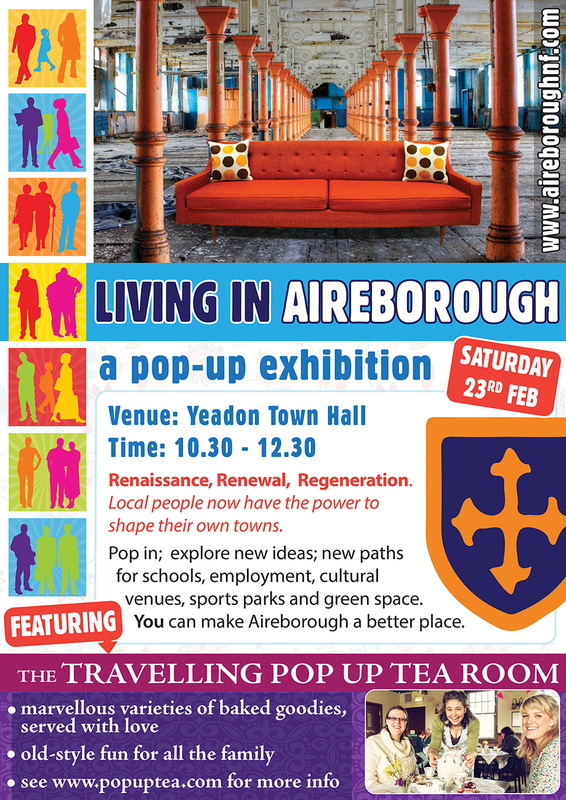 The Friends of Parkinson’s Park, joined with The Friends of Engine Fields, yesterday (Saturday 23rd February) at a Living in Aireborough – pop-up exhibition and vintage tea room, in Yeadon Town Hall, organized by the Aireborough Neighbourhood Forum. 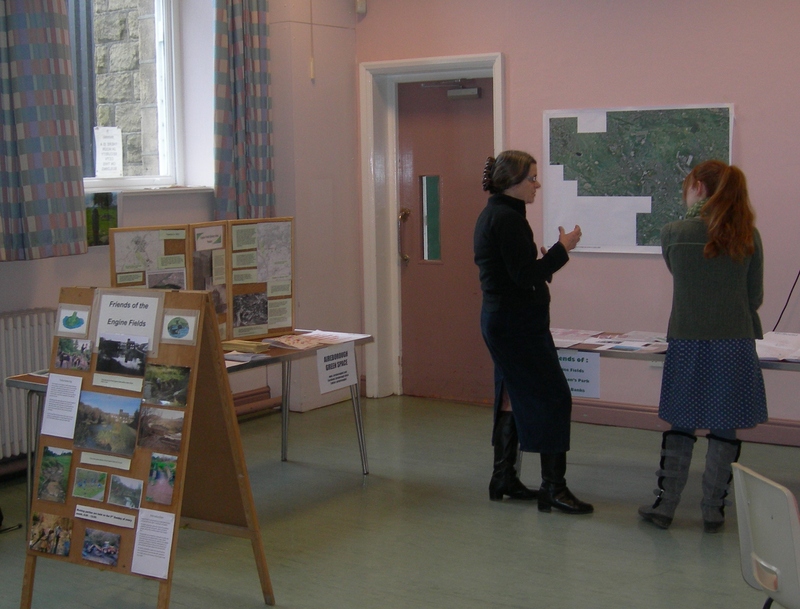 As well as highlighting all the great work done by local Friends groups in upgrading valuable green-space in the area, the Friends stand also asked visitors to pinpoint on a map where their favourite green spaces in Aireborough are. This map will be built up over the coming weeks at further pop-up events, as part of the work of the Aireborough Neighbourhood Forum to identify the green spaces in the area for the future and make sure it has the right designation in the new Leeds Local Development Framework. If you want to nominate your favourite and most used green spaces you can list them below in the comments section . This entry was posted in Events and tagged Aireborough Neighbourhood Forum, green space. Bookmark the permalink.